TaiG 8.3 untethered jailbreak tool is now available to download for iPhone, iPad or iPod touch. Both windows and mac users can download cydia on their idevice through the TaiG jailbreak. ( TaiG v1.1.0 for Mac / TaiG v2.4.3 for Windows )iPad 4, iPad 3, iPad 2, iPad mini, iPad mini with retina, iPad mini 3, iPod touch 5, iPod touch 6, iPad Air, iPad Air 2, iPhone 6, iPhone 6 plus, iPhone 5, iPhone 4s, iPhone 5c and especially iPhone 5s imodels included iOS 8.3 jailbreak device compatibility. So we mainly target to describe that how to jailbreak iOS 8.3 iPhone 5s with TaiG jailbreak. TaiG facilitated to download all TaiG jailbreak implements from their official web page. So if you enter to this page you can download trusted jailbreak implements without any doubt. TaiG v2.4.3 tool lets to jailbreak iOS 8.1.3 through iOS 8.4 firmware comfortably. Somehow, we invite you to gain cydia on your iPhone 5s, if it already has an unbroken stage. If you think to run jailbreak proceed on the windows platform please take TaiG v2.4.3 or if you think to use mac platform then take TaiG v1.1.0. Choose the correct tool as your decide and join with our instructions given below. Go to the Settings app in your iPhone 5s, Deactivate “Find my iPhone” and “Passcode or Touch ID”. Note – When you completed cydia downloading, you can activate them again. Enable Airplane mode. Its’ settings also can change in the settings app of your iPhone 5s. Use iTunes or iCloud to do backup of your all personal details. Backup will need to restore your idevice if loss your data when something went wrong. If you installed virus protectors to secure your data, then disable them temporary. Step 1 : I think you have the taig downloaded implement. Connect your iPhone 5s to Windows PC through the USB cable. Step 2 : Then open the tool as admin and let to identify your iPhone 5s. After that TaiG will show the window of jailbreak. Uncheck 3k assistant checkbox and tap on the “START”. Step 3 : Now you can see the filling progress bar. Wait until complete it. Device will reboot mechanically at once. You can see the installed cydia icon on your iPhone 5s home screen. We know that all cydia lover are flying on new cydia tweaks. So you can choose your favorite tweak after clicking below link. Nowadays all cydia lovers are flying on brand new iOS 8.4 jailbreak tweaks. So we are covering several jailbreak apps and tweaks for iOS 8.4 and iOS 8.3 iPhone, iPad and iPod touch. If you could not jailbreak your idevice yet, we invite you to enter to the cydia world with jailbreak. You can use TaiG jailbreak or PP jailbreak to jailbreak iOS 8.4 – iOS 8.1.3 idevices. Here are some of brand new jailbreak tweaks that compatible for iOS 8.4 Apple devices. Choose your favorite one to modify your idevice. Adjust the sensitivity based on your pereferences. Change the swipe area to the whole keyboard. Enable a toogle. You can enable or disable SwipeSelection. Move the insertion point to the starting or end of the document. You can customize your iPhone dock with betterFiveIconDock. This tweak lets to add an additional icon to your iPhone dock. BetterFiveIconDock supply five icon for the iPhone 6 and iPhone 6 plus dock in iOS 8. To get five icons in your iPhone dock – Lauch Cydia > Click “Manage” > Click Sources > Click “Edit” > Add http://repo.rpdev.info “ > This should add the repo.rpdev.info Repository > Click on it > Tap on the “BetterFiveIconDock” > Tap “Install” > Click “Confirmed” > Click on the “Restart SpringBoard” button. The tweak lets to change the notification badgets color on your iPhone or iPad home screen to match the app icon color. Control center has restricted set of toggles adding once for Wi-Fi, Do not disturb, Airplane mode and Bluetooth. The tweak increased the set of toggles by including toggles for Location services, Cellular Data, Personal Hotspot, Auto Lock, VPN and more. You can see the additional toggle list after swipe from right to left. You have to swipe vertically, if it have in landscape mode. You can customize the order and remove, add toggles in settings > CCSettings. TaiG 8.4 Jailbreak was had only for windows previously, but in nearly day they could release TaiG jailbreak tool for Mac also. TaiG v2.4.3 jailbreak tool has released for windows and TaiG v1.1.0 released for mac in nearly day. TaiG v1.1.0 has confirmed behind the TaiG v1.0.0 mac update after fixing some issues like blank screen on OS X 10.9. TaiG v1.1.0 is compatible with all iPhone, iPad and iPod touch running on iOS 8.4 to iOS 8.1.3. As you know that Apple’s next generation iPod touch (iPod touch 6) has released for users behind the iPod touch 5. iOS 8.4 is the current major mobile operating system of Apple and it has powered to the new iPod touch. If you have bought iPod touch 6 new one, you also can jailbreak your iPod touch on mac using TaiG jailbreak v1.1.0. To TaiG download for mac without any payment, you must enter to the TaiG’s official web page. Actually TaiG is easy to use to jailbreak iOS 8.4 on mac. As you know that PP jailbreak was the on mac jailbreak tool earlier to the taig mac tool. However now we are going to guide to jailbreak iPod touch 6 on mac using TaiG v1.1.0. Start the process with fresh iOS 8.4 installation. Prior to starting you must take full device backup of your important data using iTunes or iCloud. Find my iPhone and Passcode or touch ID features should be disabled before the process. Don’t forget to activate Airplane mode, because Airplane mode will suspend device’s signal transmitting functions. Step 1 – Go to the TaiG’s official web site to download TaiG jailbreak tool of v1.1.0. Download tool on your mac. Step 2 – Close iTunes, go to the taig jailbreak tool and extract it on your iPod touch 6 screen. Step 3 – TaiG will identify your iPod touch 6. Then you can see the jailbreak window. You have to uncheck 3k assistant option and tap on the Start button. Step 4 – Don’t try to use your idevice when process is going on. Please wait until reach the process bar into 100%. Step 5 – You can see the taiG’s message informing that “Jailbreak Succeeded”. Device will reboot at once at the end of the proceed. No need to install cydia manually. Behind the process, you can see the cydia icon on your iPod touch 6 home screen. You can restart the process when you failed on the jailbreak. The Chinese jailbreak hacking team of TaiG has just released the TaiG jailbreak Mac version to jailbreak iOS 8.1.3 to iOS 8.4 all iPhone, iPad and iPod touch. TaiG 8.4 jailbreak tool is already available for both Windows and Mac. As the jailbreak history TaiG is the best jailbreak community, famous with their untethered jailbreak tools. All TaiG jailbreak tools can download correctly from the TaiG’s official web page. iOS 8.1.3, iOS 8.3, iOS 8.2 and iOS 8.4 mobile operating systems can successfully jailbreak using TaiG jailbreak for mac. In this guide we show you how to jailbreak iOS 8.4 using TaiG jailbreak tool for mac. Using iTunes or iCloud, take full device backup. You can use backup when you something goes wrong and loss your data. Temporarily disable Passcode or Touch ID in the setting app. Enter to the General menu, then you can see the Passcode or Touch ID option. You have to do disable it. Turn off Find my iPhone option. Go to the Settings app and navigate to the iCloud menu. Then you can see the Find my iPhone feature. Turn off it. Don’t forget to enable Airplane mode from the settings app. Switch off all antivirus software which are installed for protect your idevice’s data. Step 1 – Download the latest TaiG jailbreak for mac version on your computer. Step 2 – Take out your idevice. Using USB data cable connect it to the computer. Step 3 – Move the TaiG dmg file to the application folder within double click when it prompted. Right click on the TaiG jailbreak tool and click “Open. Then again you must click “Open”. Step 5 – Press on the STRAT button to continue the process. Step 6 – At the end of the process, your device will reboot automatically at once. You should see the cydia icon on your idevice home scree behind the whole process. NOTE – TaiG will inform you that “Jailbreak Succeeded” after the process. You can re-enable Find my iPhone and Passcode or Touch ID features after successfully jailbreaking your device. Apple has released the first beta of iOS 8.4.1 in 12H304 to registered developers of Apple Dev Center. Still we cannot say that when will be release it as the major version. We don’t know what is the new in iOS 8.4.1 but we can guess that minor improvements and features in iOS 8.4.1. Two weeks back of iOS 8.4, Apple released iOS 8.4.1 beta with the all new music app integrated with Apple music. However now jailbreak reviewers are indicated about Taig jailbreak to iOS 8.4.1 jailbreak. The new beta of iOS 8.4.1 is compatible with following iOS devices. Disable Find my iPhone and Passcode or Touch ID options from the settings. Go to the settings menu > General > Turn off Passcode or Touch ID and enter to the iCloud menu to turn off Find my iPhone. Enable Airplane mode in the setting app. Disable all antivirus programs or firewalls before run the process, because some virus programs will identify jailbreak tools as the threads. Charge your idevice battery at least 50%. Download TaiG jailbreak tool on your computer and take out your idevice and connect it to windows based computer using USB data cable. Take out the downloaded tool and run it as an administrator. Then let to identify your idevice by TaiG jailbreak. Behind that you can see the jailbreak window on your computer’s screen. Uncheck 3k assistant option below the cydia 1.1.23 and press on the start button at the center. Device will reboot automatically at once at the end of the jailbreak. you can see the cydia icon behind the whole steps. We expect that iOS 8.4.1 will out of beta version so soon and we hope on TaiG jailbreak and PP jailbreak to jailbreak iOS 8.4.1. Users can restart the process when you failed on the jailbreak. In nearly day Apple has released 6th generation iPod touch for their fans. New iOS 8.4 firmware is running on iPod touch 6, therefore users can jailbreak it and install cydia using TaiG jailbreak. TaiG jailbreak tool updated into TaiG v2.4.3 to jailbreak iOS 8.4 iPhone, iPad and iPod touch. iPod touch 6 brings new features and it seems big different than the iPod touch 5. In nearly day Jonathan Morrison of TLD has uploaded the video proof to show more differences between iPod touch 5 and iPod touch 6. The new iPod touch 6 brought the 8 megapixel improved camera that help to take better videos and photos. It also allows to record videos as slow motion. However Morrison has begun his video to showing similarity between iPod touch 5 and 6. They indicated Geekbench scores for both devices and he told that iPod touch 6 crushes the iPod touch 5. As we mentioned that taiG jailbreak has announced iOS 8.4 jailbreak ability. So besides of the Apple’s features, users can take new cydia tweaks, apps, modes, themes and more on the new iPod with TaiG jailbreak. 6th generation iPod touch came out with faster Wi-Fi speed ability. New 64 bit A8 processor and 1GB of RAM included in new iPod. However, now you can see the demonstration of the iPod touch 6 below uploaded by Jonathan Morrison of TLD. However we mentioned that TaiG jailbreak for iPod touch 6. Now we guide to you how to use TaiG jailbreak latest version to jailbreak iOS 8.4 iPod touch 6. First of all you must take full device backup using iTunes or iCloud. Need to disabled Passcode lock and Find my iPhone through the settings in your iPod touch 6. Airplane mode need to be enable before the process. The option’s changes also can go through the settings app. Download TaiG jailbreak 2.4.3 latest version on your computer, connect your iPod touch 6 to computer and run the tool as an administrator. Uncheck 3k assistant option and click start. Wait until reboot your iPod and cydia will appear on iPod touch home screen. The 6th generation iPod touch is currently available now from Apple’s online store. Priced at $299 with 64GB, $199 with 16GB storage, $399 with 128GB of storage and $249 with 32GB storage. iOS 9 is the Apple’s next major mobile operating system which is expecting in future. Four beta versions of iOS 9 already released to developers and iOS 9 beta 2 has released as the public one. 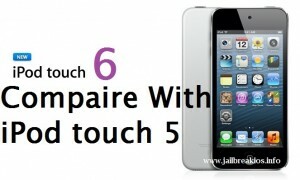 Nowadays TaiG jailbreak is the main news which is the spreading on internet. They have successfully jailbroken iOS 8.1.3 – iOS 8.4 iPhone, iPad and iPod touch introducing TaiG download v2.4.3 tool. On June, TaiG CEO Xie Lei posted a comment on Chinese microbogging site weibo about iOS 9 jailbreak and he posted the same comment on the Twitter. He alluded TaiG plans to the future. “iOS 9 See! We look forward to release fourth escape!”. This is the TaiG CEO’s comment. I think the comment is the main hint about iOS 9 TaiG jailbreak. What is the fourth escape? Sources indicated that fourth escape meaning is the fourth jailbreak as iOS 9 jailbreak. We seem with TaiG CEO’s message that how much he is looking forward to releasing an iOS 9 jailbreak. Do you remember that Apple confirmed the main security feature of “Rootless”. Therein Rootles could be the spasm of all cydia lovers and jailbreakers hearts, because reviewers indicated that rootless will be the main barrier to the jailbreak and they told that it will be kill all jailbreak abilities. But yet those fearsome cannot found in iOS 9 betas. Already, iOS 8.1.3, iOS 8.2, iOS 8.3 and iOS 8.4 successfully jailbroken by TaiG. TaiG is the talent team than the other. They could fix all TaiG jailbreak errors which are reported by users like getting stuck at 30%, 40%, 60%, “Apple drive has not been found”, 1101, 1102, 1103, 1104 and 1105 with new TaiG v2.4.3 public one without any matter. According to TaiG CEO’s comment, I think that nowadays TaiG will do experiments to release TaiG jailbreak tool to iOS 9. As I mind, some sources revealed that TaiG working on both iOS 8.4 and iOS 9 jailbreak in same raw. But yet they could not release iOS 9 TaiG jailbreak tool. Although as my review download TaiG will publish their TaiG jailbreak tool to iOS 9 cydia download. Wait with us. We hope to bring hot hot news about TaiG jailbreak new. Apple has released fourth beta version of iOS 9 in nearly day. It came out in 13A4305g build number and compatible for all iPhone, iPad and iPod touch. We can expect iOS 9 download major update so soon. The team of TaiG are updating TaiG download tool day by day. Apple’s final major mobile operating system of iOS 8.4 has already jailbroken by TaiG. In order iOS 8.1.3, iOS 8.2, iOS 8.3 and finally iOS 8.4 also successfully jailbroken via TaiG jailbreak. I think nowadays TaiG will try to reach iOS 9 jailbreak. What’s new in iOS 9 beta 4 ? Volume Button Photos – iOS 9 beta 4 bring the ability to snap a photo using the volume buttons on your idevice. Home Sharing – Home sharing feature introduced for new music app and the new music service. Notifications icon – You can see the notification icon in the settings app on your idevice. The older notification icon represent with the red color. Now you can see the red color notification icon in the settings app. Not only that the battery icon also came out with the new rounded edge instead of square. iPod touch support – If you already have the new A8 based iPod touch, then you can upgrade your idevice into iOS 9 beta 4. Apple added a new installation profile with the new beta. Handoff – Handoff feature has been moved to the bottom of the app switching interface. Picture in Picture for podcasts – You can watch the video while continuing to complete other works on iPads with the new podcasts app. Apple Pay – This is the new option including in the settings app and it introduced for apple pay. TaiG is on the advance stage among the other jailbreak community. In nearly day they could jailbroken iOS 8.1.3, iOS 8.2, iOS 8.3 and iOS 8.4. They optimized the process of jailbreak via TaiG v2.4.3 tool. Still they could not jailbreak iOS 9 any beta version, but sometimes they will release the tool for iOS 9 jailbreak. You can download TaiG jailbreak tool from the Taig’s page and we expect to download taig tool for iOS 9 cydia download so soon. PP jailbreak has just released for iOS 8.4 jailbreak on Mac. The version is compatible for all iPhone, iPad and iPod touch running on iOS 8.4. Download PP jailbreak from PP jailbreak community page. It is completely untethered jailbreak tool and support to iOS 8.1.3, iOS 8.2, iOS 8.3 and iOS 8.4. Now we guide to how to jailbreak iOS 8.4 on mac using PP jailbreak. Keep in mind that tutorial only for mac users. windows users can use TaiG jailbreak. IMPORTANAT – Use iTunes or iCloud to backup your personal details before run the process. When something goes wrong, backup is the better idea to restore your iOS device. Step 1 – Download the latest PP Jailbreak on your computer. Step 2 – Make connection between your iOS device and computer using USB data transfer cord. Step 3 – Disable Passcode lock from Settings > General > Passcode or Touch ID > Turn off. Step 4 – Find my iPhone option’s configuration change into turn off from Settings > iCloud > Find my iPhone > Turn off. Step 5 – Close XCode or iTunes. If you forget to close it then PP jailbreak will not work. Step 6 – You can move PP jailbreak dmg file to the applications folder within double click when prompted. Double click on PP jailbreak tool icon and extract it. Step 7 – Now PP jailbreak tool will recognize your iOS device and then need to deselect “Install PP Helper” checkbox. Step 8 – Press on the JAILBREAK button at the center of the window to continue the process. Step 10 – Your device will reboot at once mechanically. Now you can find out cydia icon from iOS device home screen and then install the latest cydia update before download your favorites. NOTE – Don’t forget to turn on Passcode lock and Find my iPhone feature at end of the process. Airplane mode also can turn off. The team of TaiG has just released their new version of TaiG v2.4.2 as the next beta for iOS 8.1.3 – iOS 8.4 jailbreak. TaiG v2.4.2 jailbreak integrates the new cydia 1.1.23 bundle as the main part of the tool. The issue of getting stuck at 30% and 40% which users are facing during the jailbreak process is fixed by TaiG with new jailbreak tool. Use the TaiG’s official web page to download taig jailbreak tools. This is the English version and currently available for windows. Jay Freeman updated their new cydia version of 1.1.23 as the major release. 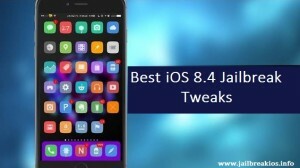 Especially the new cydia version came out with new features of ability to show tweaks categorized list against the app store based apps and stock and Downgrading packages or tweaks. Still TaiG v2.4.2 is available on the beta stage. As we mentioned If you are not having those issues you can ignore TaiG v2.4.2 jailbreak and use TaiG v2.4.1 pre version. If you are already jailbroken your iOS device, then no need to jailbreak again, because the new version only for new jailbreak users who are facing any trouble yet. IMPORTANT – Before proceed make sure if you turned off “Passcode or Touch ID”, “Find my iPhone” and all antivirus software. Both of Passcode or Touch ID and Find my iPhone options’ changes from Settings app. Download TaiG v2.4.2 on your computer and go through our guide lines. Step 1 – Convert the TaiG .zip file into TaiG .unzip file, connect your iDevice to computer using USB cable and run the TaiG jailbreak tool as an administrator. Step 2 – TaiG will recognize your iOS device taking few times and then it will show the window on your computer screen. Step 3 – You must remove 3k Assitant option’s tick and then click on the START button to continue the process. Step 4 – Until complete the process with device rebooting, don’t touch and don’t try to do any work with your iDevice. Step 5 – After reboot and device settings will come into the normal way. Then you can see the cydia icon on your iDevice home screen menu. Go through the cydia and download your favorites. Note – Unfortunately if TaiG informed that “Jailbreak failed”, then don’t worry. You have to do turn off both your devices and process and then try again. You can prevent any troubles if you turned off both passcode lock and find my iphone options and observe our guidelines correctly also.